Confession #1: I’ve abandoned grad school for almost two years now. You can now count me as one more statistical drop in the ocean of PhD dropouts that the Chronicle of Higher Education periodically laments about. Confession #2: One of my guilty pleasures these days is reading low-brow popular literature that would have gotten me laughed out of grad school. When I was still “on the track to tenure track”, I would have balked at the thought of admitting that I read anything less than award-winning, genre-defining, paradigm-shifting Literature-with-a-capital-L. But in defining this sort of self-imposed restriction of what I could read and who I should be, I think I missed the point of why I loved books in the first place. Sure, people read books to analyze them, to comb them for scraps of historical fact, to glean whispers of their cultural heritage, to build expansive arguments and defend lengthy dissertations on how the production and consumption of literature mirrors Marx’s theories of capitalistic exploitation. That is what English professors and grad students do for a living. For the rest of us (now that I’ve joined your ranks), books are for pleasure, solace, escape, contemplation, inquiry, reflection. We read to learn, to laugh, to feel, to connect with minds beyond space and time. There is no good or bad literature. Only literature that is (or isn’t) useful for understanding and living our lives better. I could pick at all the literary imperfections of The Fault in Our Stars. Hazel and Augustus sound too much like wannabe English majors, i.e. extensions of the author. Hazel only quotes the kind of canonized poems you’d find in a high school English textbook (“The Red Wheelbarrow,” really?). Augustus has a fetish for playing out metaphors literally, dangling an unlit cigarette in his mouth because it symbolizes his ability to reject the things that could kill him. While the novel features surprisingly complex characters for a young adult romance (being on the edge of death has a way of making you think a lot of existential thoughts), John Green’s downfall is that he gets too enamored with his own tropes and pretty turns of phrases. Great Tumblr quotes to be found throughout, but as a piece of literature, I found The Fault in Our Stars to be a little heavy-handed in its execution overall. 3 out of 5 stars. This would be my opinion as a critic. And yet, we should still ask the question: Was it useful? 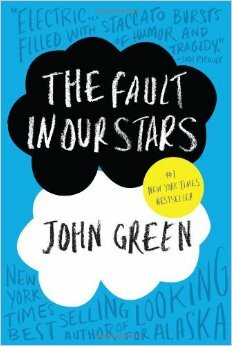 Does the novel help people (teens) make sense of their lives any better? Probably so. Even if the questions asked and answered in the book aren’t new or unique at all, even if the message is far from subtle, even if the revelations of the book are not earth-shattering or even particularly profound (to me at least), it must seem deep to the high school freshman or sophomore who is experiencing love or death or both for the first time. “Some infinities are bigger than other infinities” must mean something special to someone somewhere. Just because I’ve grown past the age to appreciate its sentiment and mindset doesn’t mean The Fault in Our Stars isn’t of value. Perspectives change. You appreciate different things at different ages. I’ve come to believe that looking for potential value – in books, in projects, in people – is more important than analyzing and critiquing for criticism’s sake.